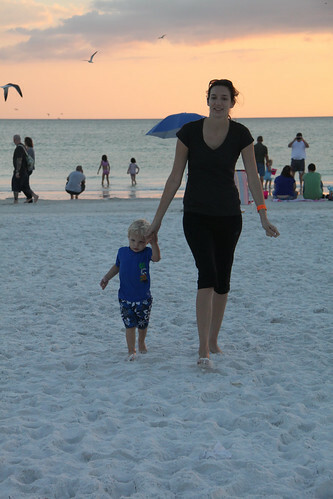 This year for our Thanksgiving break we decided to take the family down to Florida for about 10 days. The first half of the week we planned to visit Aunt Sara, Uncle Michael and Cousin Isaiah. This would be our first visit to their new home in the Sarasota area. Later on we found out that Grandpa and Grandma Coburn would also be down at their Venice condo for the week. The more the merrier. 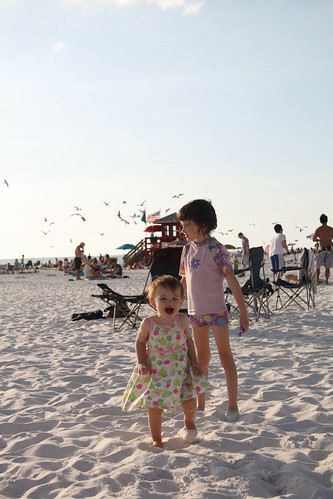 On the first morning we asked the girls what they wanted to do…BEACH…of course. 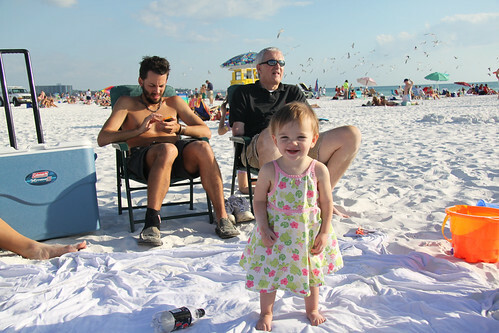 So we packed up and took the whole gang down to our old favorite Siesta Key Beach. We were surprised to see how busy the place was. But, we still had a blast. Wherever there is sand. Kayla is happy. 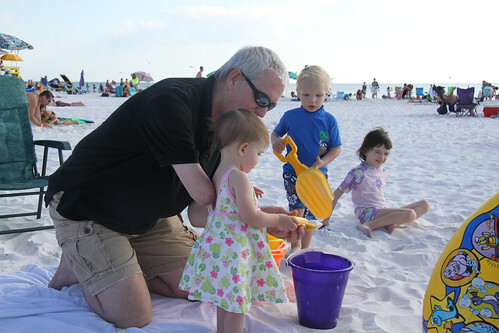 Kayla, Isaiah, and Papa spent some good time with the buckets and shovels. 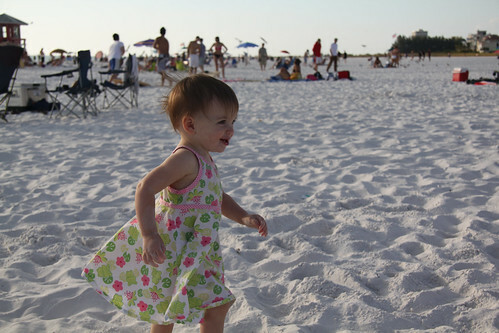 Kayla’s favorite activity was running around on the beach. Her sisters did a great job keeping tabs on their baby sisters whereabouts. And Kayla liked the game of chase. 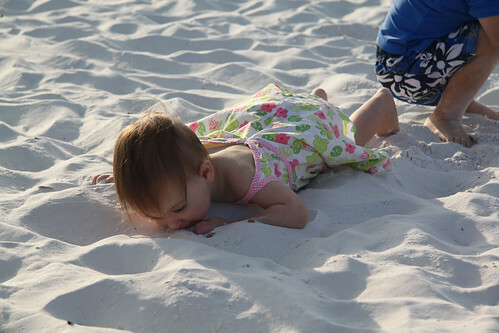 Then Kayla started doing this…I guess she was hungry. Papa was always right on hand to keep her from eating too much. 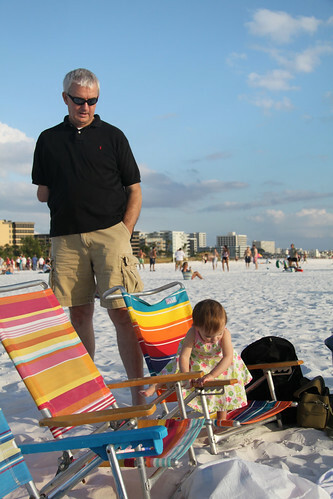 Kayla next discovered that she could climb in and out of these beach chairs. I think it made Papa nervous because he was on constant guard. Thanks to our hosts! We all had a great time.